Squee! 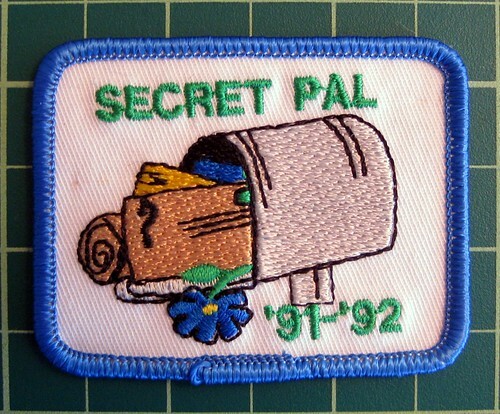 How adorable is this secret pal mailbox patch? It's a vintage girl scout patch, and the newest item I just added to my etsy shop. Just some shameless promotion. I always enjoy it when favorite bloggers mention they've added items to their shops, even if I have no intention of buying them, so I'm just following suit. Tell me if you think it's skeezy. Not skeezy at all! That's super cute!! That is so cool Missive! Just a note to let you know TLWR is offering a free giveaway.......open to all! OMG, if I hadn't already finished the top of my GS Patch Quilt - it would so be part of it! Wow!! This is so cool. I think I need an adult merit badge sash-- this would go on for sure. So cool!! I still have all of my patches from when i was in girl scouts.